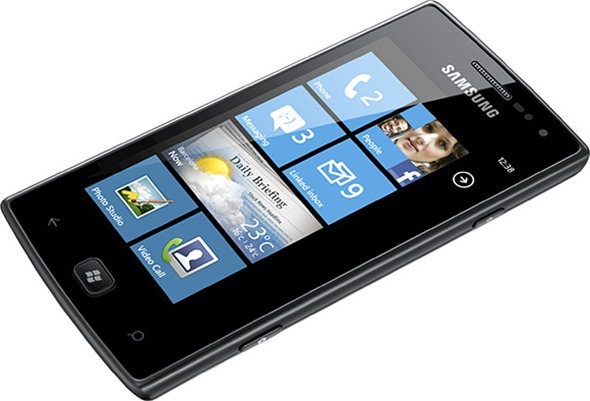 Samsung’s Taiwanese branch has confirmed that it will begin retailing Windows Phone 8 smartphones as soon as October. Responding to the questions of reporters, Samsung Taiwan has noted that it would not be introducing Windows Phone 7 (Mango) in Taiwan, instead looking towards the introduction of Windows Phone 8 (Apollo) handsets this October. In addition, the company also made the explicit point that Mango wasn’t as adept to the higher-end, more feature-packed devices of today’s market, thus its main focus is circulated around Apollo. Although the news is very significant in the grand scheme of things, unfortunately no further details have been disclosed regarding the features or tech specs of said devices. With the market dominated by iOS and Android, many consumers and analysts have been eager to see what Microsoft will bring to the table. Nokia, which ditched its Symbian OS last year in favor of a collaboration with Microsoft, has already earmarked itself as a key player in the Windows Phone game. That said, the Lumia 800 and recently released Lumia 900 have yet to make the huge market impact that both Microsoft and Finland-based Nokia would have liked. It is still expected that Samsung will release one last entry accommodating Windows Phone 7.5 (Tango) before the Windows Phone 8 handsets hit the market. The device – the Mandel SGH-i667 – is purported to be LTE-compliant, while also packing an impressive 4.3-inch WVGA display. Although it’s widely accepted to be launching on America’s domineering AT&T network, there is – once again – precious little other information at this point in time. Interestingly, if Apple decides to release the sequel to its iPhone 4S in October (a likely eventuality), then we could be in for an interesting, unexpected head-to-head. Sure, a Samsung-manufactured Windows Phone won’t be much competition for the fruit company’s sixth iPhone installment, but it would certainly make for interesting commentary. It makes huge sense for Microsoft to want Samsung on board for the initial Windows Phone 8 run out. After all, the Korean company’s Galaxy S II and Galaxy Nexus, (although the latter is Google-branded), have been two key cogs in the Android mechanism, and aside from the next iPhone, the Galaxy S III is currently the most eagerly-anticipated device among consumers. Let’s hope it delivers the goods. Thoughts?